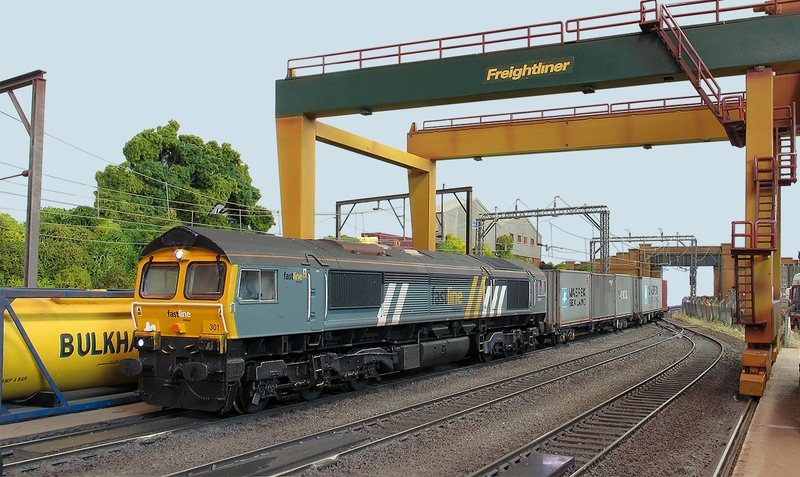 Warren Lane is an OO gauge freightliner terminal using DCC control set in East Anglia on the Great Eastern Mainline between 1995/2009. 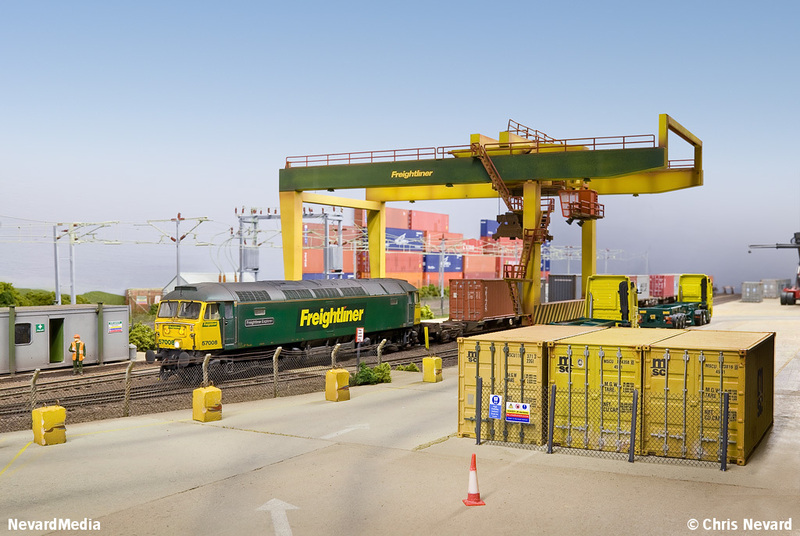 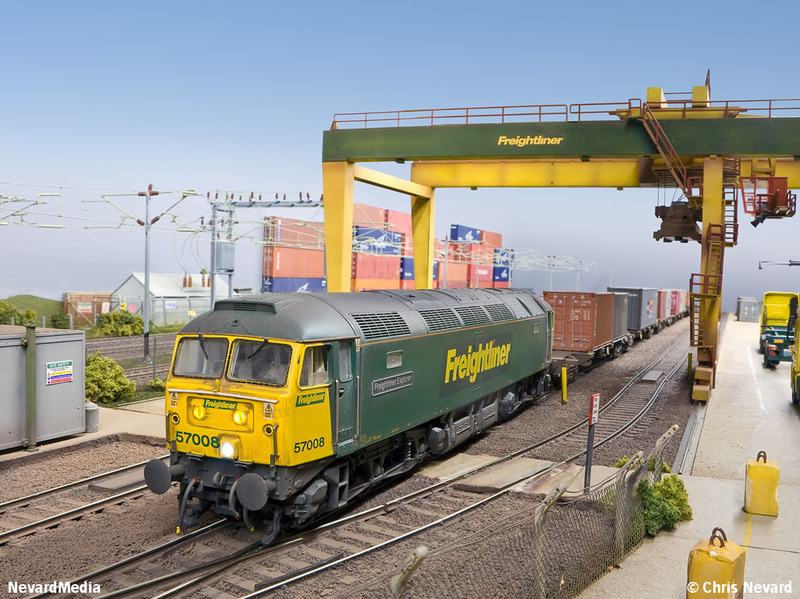 Viewers can watch intermodal trains from several TOCs arrive from all parts of the UK. 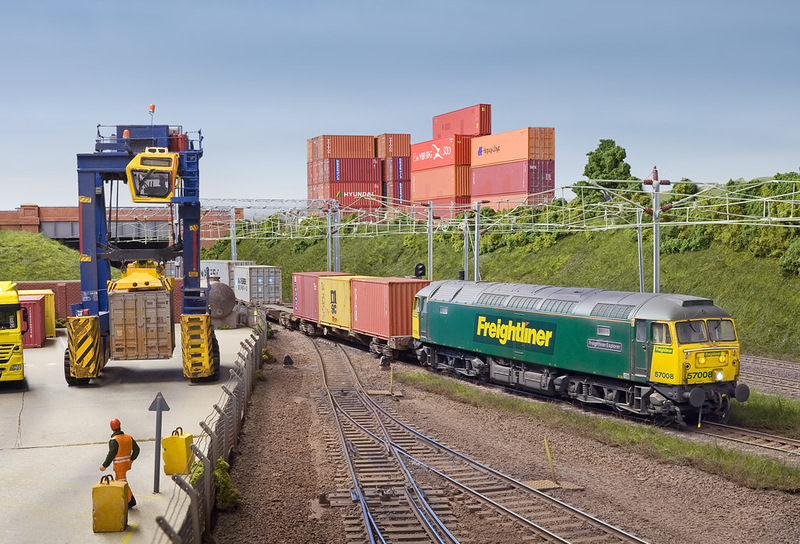 As well as the working container terminal, Great Eastern Mainline services can be seen passing along the layout 'under the wires' between the intermodal services. 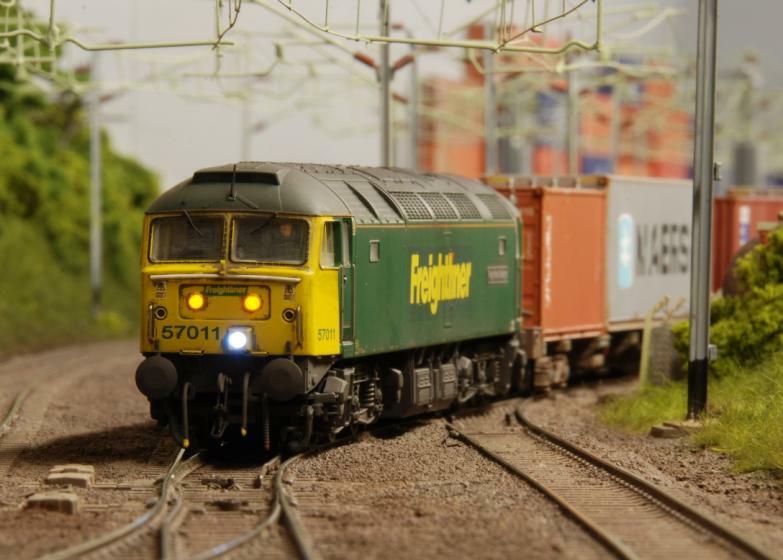 Warren Lane is a very busy layout with constant movement and friendly operators always willing to chat. 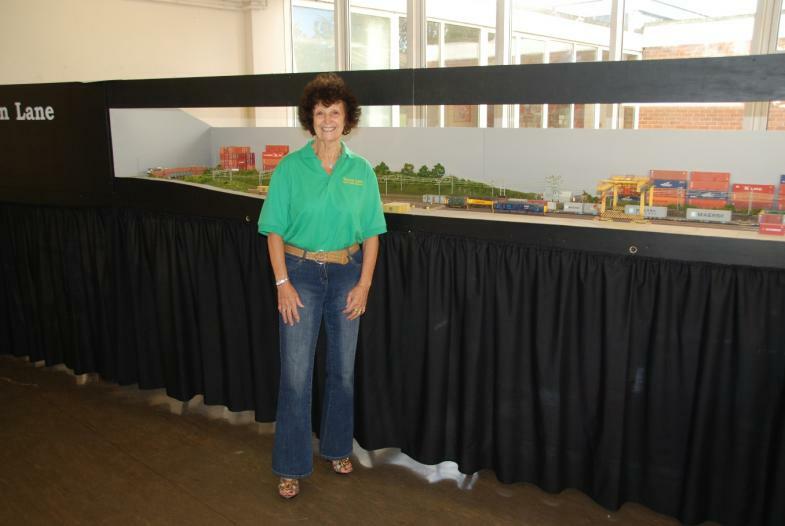 Please have a look around our website using the menus at the left for further information about construction and operation of the layout. 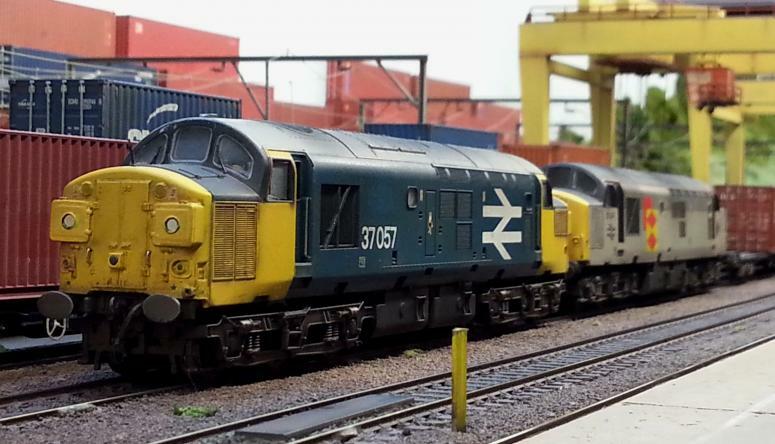 Also, there is a regularly updated list of our forth-coming exhibition dates and locations.